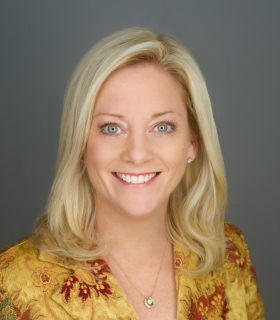 Elizabeth Tyminski is a visionary, mission-oriented leader whose expertise in the strategic operations of nonprofit organizations has helped the Junior League of Boston innovate and evolve into the organization it is today. A passionate advocate of The Junior League in all aspects of her life, Elizabeth has honed her gift of finding and building consensus in even the most demanding situations. Since she joined the Junior League of Boston in 1998, Elizabeth has served as the League’s President, Treasurer, Nominating Chair, Provisional Program Chair, Manager of Training, Centennial Ball Chair, Show House Chair and as a member of the Nominating Committee. Elizabeth was on the AJLI Governance Committee from 2013-2015 and served as AJLI Secretary and Chair of the Audit Committee before she was elected Vice President. Elizabeth has served on a number of nonprofit boards, including Respond, a domestic violence agency. She is a highly active volunteer for her alma mater, Smith College, where she was instrumental in leading a fundraising campaign that raised $486 million, the largest ever for a women’s college. Professionally, Elizabeth is the Executive Director of The Engineering Center Education Trust, a nonprofit serving over 6,000 engineers and land surveyors in Massachusetts that’s dedicated to educating professionals, students and the public about engineering and land surveying in the natural and built environment. Elizabeth is an MBA recipient from the Wallace E. Carroll Graduate School of Management, Boston College where she graduated first in her class.